A lot of people ask me what web applications I use, so I decided to write a post and share some of my favorites with you today! Below you’ll find a list of web applications I love, what I use them for and some quick tips for some of them too. CrazyEgg – CrazyEgg is an extremely useful visual web analytics tool co-founded by Neil Patel. It takes the guesswork out of trying to figure out whether or not certain elements of your website are being used. How? It shows you visually with various types of overlay maps, so that you can see exactly what’s being looked at and clicked on when people visit your site. Most recently, I’ve been using it to make purposeful tweaks and adjustments to the recent redesign of The Smart Passive Income Blog. (See this). I have the tool set to record data from all types of pages on my blog – from the homepage to top income producing pages (like the resource page), and even random blog posts so I can see what people are actually clicking on when they read my content. There’s an advertised 30-day free trial on Crazy Egg’s website, but you can get access to an unadvertised extended 90-day trial (2 months extra) with the web app bundle over at Only72.com for the Cyber Monday app sale. It can show me, in a glance, traffic data for multiple websites all at the same time on the dashboard. This is extremely helpful for me because I run online businesses. It’s less intimidating, cleaner and a lot more user friendly. I love how I can easily see, in real-time, how many people are on my website, and even pinpoint specific users and see every action they’ve taken on the site – from what page they entered on, to what they’ve clicked on and where they exit. It’s easier to setup goals and campaigns in Clicky vs. Google Analytics, in my opinion. It’s far easier to compare what happened today on your sites vs. what happened yesterday, of 7 days before, or any other day. Plus, you get support over at Clicky. It’s hard to get support from Google for Google Analytics. Clicky advertises a 21-day free trial, but it’s actually also included in the sameOnly72.com Cyber Monday App Bundle that I mentioned above with Crazy Egg (plus several other apps like Freshbooks, Shopify, SnapEngage, iDoneThis, SaneBox and RightSignature). For Clicky, instead of 21 days, you’ll get 6-months of the Pro Plus account, which is good for up to 10 websites and 30,000 website visitors per day total. 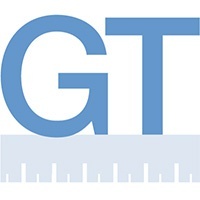 GTmetrix – GTmetrix is a sweet (and free) tool that you can use to check the speed and performance of your website. Just insert your URL and boom – you’ll get a quick analysis and report of how long it took to load, along with a grade and what parts of your site are slowing you down. Hand that report over to an optimization expert (or take care of some of those things on your own), and you’ll have a faster loading page that will help the user experience on your website, and also help you rank higher in the search engines too, because page time affects search engine rankings! Once you enter your URL, give it 15 seconds to analyze it before your report shows up. ByWord – For the longest time, I used the WordPress editor to create pages and publish posts on my blogs. Now, I realize how much better life is when I use a tool that was specifically built for writing. There are several tools out there to help you write, butByWord, by far, is my favorite. It’s basically a “distraction-free” writing tool that clears everything out of the screen except for the cursor. It keeps my mind in focus while writing. Plus, it’s super clean and has a nice feel to it. You can show or hide a faint word count at the bottom of the screen, and it also auto-saves on the Cloud for you, which is nice – especially if you work from multiple devices, including your iPhone – although I found the iPhone version of ByWord to be a little buggy. 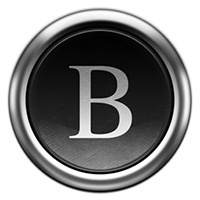 ByWord ($9.99) is for Mac users only, but there are PC equivalent software solutions, such as OmmWriter. Unroll.me – You’re going to thank me for this one.Unroll.me is a web app that you connect to your email account, and what it does is goes through all of your archives and finds any subscriptions that you have and gives you the option to either unsubscribe from them, or roll them into one single email you receive daily. 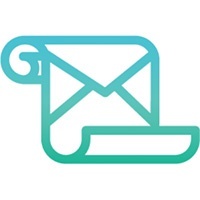 This might not sound like much, but when I connected my primary personal email account, it saw that I was subscribed to over 115 email lists! Quickly, I was able to unsubscribe from about 90% of them, and keep the rest in one email that I get daily that sums them all up if any of those subscription emails come my way. A genius tool, and it seriously helps with the email load. Oh, and it’s free! 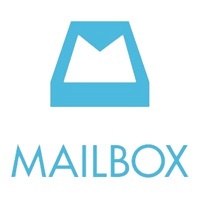 MailBox – Mailbox is an iPhone & iPad application that I use every day for email management. It’s like the client mac mail application, except so much better because when an email comes in, I can easily use various finger swiping gestures to either delete the email, put it in a specific folder, mark as read and archive or delay it so it comes back to me later (like at a later time of the day, or even week or year). It’s from the makers of DropBox, so you know it’s legit and has good support, and although I’m far from being the master at organizing the email flowing into my inbox, this app definitely makes it a lot easier to manage. Please note that it currently only works with Gmail accounts, although they seem to be working on being able to add other email platforms soon. 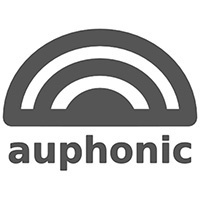 Auphonic – Auphonic is a new tool that I was recently introduced to that I’m now starting to use for almost every podcast episode – specifically the ones that include interviews. The tool works like another tool I recommended in my podcasting tutorial called Levelator, where you process a sound file and it spits out another that has perfect sound levels. So, if you recorded an interview and the person you interviewed sounds a lot softer or louder than you, this tool would fix that and optimize the volume and levels all the way through your show. You can add metadata to your files right from the upload screen, including pre-rolls and post-rolls to your show if you wish. Currently, it’s free to use – although I wouldn’t be surprised if they started to charge because it is such a great app that is extremely helpful, and is worth paying for in my opinion. 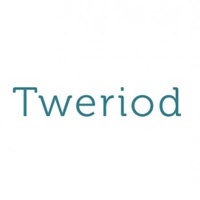 Tweriod – Tweriod (Twitter + Period) is a quick and easy (and free) tool you can use to find out exactly when most of your Twitter followers are online. This data is important because it will help you determine when the best times to tweet are. Combine this with the tool right below this one, and you’ve got a killer combo. It takes just a second – so you might as well try it out right now. Are you tweeting at the optimal times? Bufferapp – BufferApp is one of my favorite web applications ever. Not only because it’s a cool tool, but because it’s run by some awesome people who share the same values of transparency and honesty as I do. 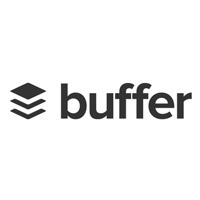 BufferApp allows you to schedule Tweets, Facebook status updates, LinkedIn updates and more ahead of time. Over 1,000,000 people use BufferApp, and I’m one of them because there are a lot of interesting things you can do with the application. If you have a lot to say, and lots of cool stuff to share, you can use BufferApp to schedule those posts and Tweets ahead of time, so as not to annoy your followers, but also to constantly keep in contact with them and provide value over time – almost like what you can do with an email auto-responder. Before I move on, I just wanted to mention: automation is great, but do realize that in order to lead a successful social media campaign, you do still have to be somewhat present and have real interactions with your audience. Basecamp – There are a lot of web-based project management type tools out there, and they can all organize your projects and help get the job done. 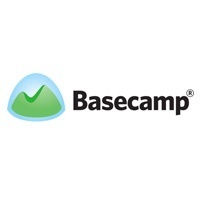 I’ve tried Truello and Asana for months at a time, but I’ve always landed back to my favorite of them all – Basecamp. This is personal preference, and I’d recommending just trying out various pieces of software until you land on one you really like, but I love the interface of Basecamp and how easy it is to manage multiple projects (because you all know how many projects I have going on at the same time) and Basecamp does help organize all of that stuff and keep me sane. I do still have physical folders for all of my projects, but primarily for milestone and goal tracking purposes, not so much the record keeping and communication between team members, which Basecamp is excellent for. There is a free trial period for Basecamp, but after the trial is over there is no free continuation plan. I remember running with the trial a couple of years ago, and after the first few days, I was convinced and happy to pay the monthly fee to use the software. 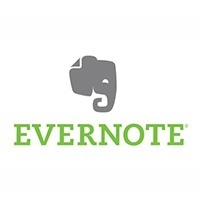 Evernote – If I were going to be stranded on a deserted island (where they had internet access) and I could only bring one app with me, it would be Evernote. 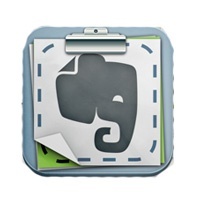 I use Evernote more than any other web app out there, primarily because I treat it like my second brain. It’s where I store everything I want to learn later (just not right now), and it’s where I organize all of my notes for everything – from public speaking presentations, to books that I plan to publish, to courses, contact information, everything. Whenever I get a new idea for a project I have, no matter where I’m at, I can pull out my Evernote iphone app and add a little note to a project folder, and then I have it there when I go home and work on my desktop. I love Evernote because it neatly organizes my everything, and everything is easily searchable too. You can sign up for a free account, but there’s a premium account for $5.00 a month that gives you more storage and access to a few more features as well. Evernote Web Clipper – Evernote Web Clipper is a free browser extension (Chrome, Safari, Firefox, Opera and Internet Explorer) that makes it incredibly easy to take any piece of content on the web – maybe an article you’re reading, a picture you see or a blog post or video you came across – and save it into a specific folder within your Evernote account. This is what I primarily use for just in time learning, which means when I come across something cool that I know is useful – it’s just not going to help me right now with what I need to focus on – I can clip it into a specific folder so I can easily come back to it later – and it’s not like a book mark either – it takes that content and puts it into the Evernote folder you specific, so it’s right there for you later – even if you were offline (if you gave it a chance to sync first). 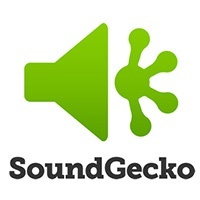 Sound Gecko – Along the same lines as EWC, (and I have to credit Cliff from Podcast Answer Man for this find) Sound Gecko allows me to save written content I find on the web and review it later. Sounds kind of boring – right? Well, there’s a reason it’s called Sound Gecko. You see, when you save written content into Sound Gecko (using a browser extension), when you pull up that content on your phone, the app will read it back to you. So, you could essentially read blog posts or even the news by saving it from the web and listening to that content on your drive home, at the gym, on a walk – where ever you please. The app works for both iOS and Android and it’s free to use, however, if you’d like to subscribe to RSS feeds and convert PDF documents into Sound Gecko, it only costs $2.95 per month – which is less than a premium drink at Starbucks. 1Password / LastPass – 1Password and LastPass are a couple of other applications that I use every single day. Both serve the same purpose – they generate and store passwords for various things you sign up for online so that you only have to remember one master password. The reason I have 1Password and LastPass is because 1Password is what I started with, and it just makes sense for me to keep with it – but I also have LastPass because it’s what I use to share passwords with my VAs without me actually having to tell them my exact passwords. They just have that one, and if a VA leaves for whatever reason, I can switch out that master password for another one. 1Password comes with a small fee, while LastPass is free to use (although it does have a premium version with a few more features). So, if I were to start from scratch today I’d probably start saving my passwords into LastPass, although I do have to say I like the interface of 1Password much better. DropBox – Oh Dropbox..how can I live without you? 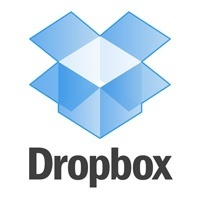 Dropbox is top notch, affordable cloud storage – primarily because it’s easy to use and incredibly affordable. You get 2Gb of storage for free, although personally I pay $9.99 / month for a Pro account to handle more storage, since I do a lot of large file swapping between myself and VAs. I primarily use it off the web actually, meaning I don’t even sign into Dropbox.com when I’m using it. When you download the application to your computer, your computer is essentially dropbox enabled, so I’m often drag & dropping and copying files into a dropbox folder that’s created in my explorer or filemanager, which syncs to the cloud storage. 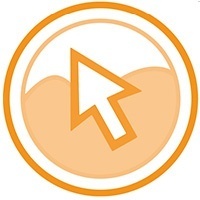 From there, I can simply right click on anything and get the share link that I can paste into emails or chat messages. Jing – If you have VAs, Jing is a must. When you install Jing onto your computer, you can take screenshots of whatever you see on your screen (and add graphics like arrows and things like that to them) and you’ll immediately get a link you can use to share that image. Beyond that, and the feature I use the most, is you can screen record using the software too. So, instead of taking a single-framed screenshot and sharing that, I can record an entire video up to 5 minutes in length, and after recording it’ll give me a link to share. So instead of writing out a detailed email about how to do this thing or that, I can simply record myself doing it along with my voice instructions, and boom – it’s right there in video form with a link to share with my VA. It’s the best way to teach someone how to do something fast, especially with the convenience of the link without having to then upload that video somewhere and then get the link. 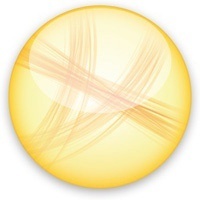 Jing was created by the same company that created Camtasia Studios and Camtasia for Mac. Oh, and the best part – it’s free! 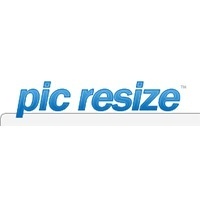 PicResize – It’s important to keep the file size of the images on your site to a minimum. I use photoshop to do this sometimes, but sometimes I don’t have access to photoshop and instead I’ll use PicResize to quickly take an image of any size, and cut the filesize down to a fraction of the size while maintaining the quality of the picture. You can upload an image from your own computer, or even use a URL for an image on the web, and after you specific the size you want and press a button, you can download a new image that’s going to help you achieve faster load times and a better user experience on your site. Tip: you can even batch process multiple images at the same time. Window Resizer – Window Resizer is a browser extension (chrome / firefox) may be the most under-rated tool ever. It’s so handy that every time I use it, I swear I smile a little. What it does is it gives you quick options for resizing your browser window. This becomes extremely useful when I’m recording screencasts and I want my browser size to match the size of the video exactly. Typically, I do it at 1280×720 (which is the YouTube HD size), but it could be for whatever. I’ve preset the most popular sizes so that I just have to click the extension button in my browser, choose the right size and boom – all good to go. Tip: If you’re doing screencasts and you want to record your browser, but also hide your toolbar and any other tabs you may have open in that window, create a specific size in Window Resizer that’s the same as the size of the video you want to export, but make sure that size is the size of the viewport (which there’s an option for in this tool), not the window. The viewport is everything below the toolbar and tabbed area, so you’ll be able to fit more of a webpage on the screen. Window Resizer is 100% free to use. I looked for a Safari version and saw a couple that were similar, but not of the same brand behind this one, so I can’t say if those are legit or not. Wistia – I recently discovered Wistia from a recommendation from Caleb over at Fizzle.co when I was asking around for where I might be able to host videos for my course, Breakthrough Blogging. After using it for about 6 months now, I’m really loving it. It’s great for organizing videos that you want presented in a high-quality manner, and what’s most impressive are the analytics that come with the videos that you upload. I can see, for example, in each of the videos I have in my course, what parts people are paying the most attention to, and where people are losing interest. As an owner of a course and someone dedicating to producing the best, most helpful content I can, this information is extremely valuable. 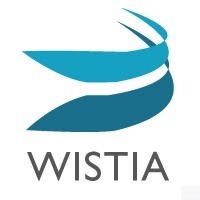 I’m still discovering new features and things about Wistia every time I sign in that make me love it even more, so if you’re going to be creating a membership site and will be including videos in it, I highly recommend Wistia for your media storage solution. There is a free 2-week trial, and then monthly fees depending on how many videos you want to upload and how much bandwidth you’re going to use. 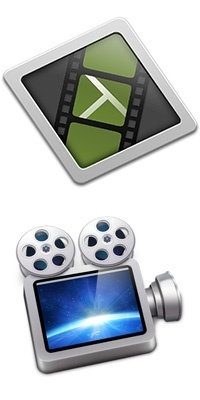 Camtasia and Screenflow – I love screencasts. I love to record what’s on my screen so I can share that information and teach on channels like YouTube and other platforms. They’ve been the backbone behind the success of my YouTube Channel and many of the high-quality, viral tutorials on SPI, such as my podcasting tutorial. For Mac users, there are two applications that are at the top of everyone’s list when it comes to screen recording software:Camtasia and Screenflow. For PC users, most people use Camtasia Studio – so there’s really no debate there. 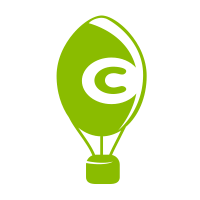 Right now, I’m sort of in favor of Camtasia, simply because since Mavericks for iOS came out, Camtasia was the first to be compatible and I had some issues with Screenflow – but they soon followed up with a patch and all was good again. So, I’m not going to say use one over the other – just, these are your options, they are both fantastic and just pick one, go with it and make those videos! To save even more time (on both Camtasia and Screenflow) I upload my finished videos directly from the application onto my YouTube account.